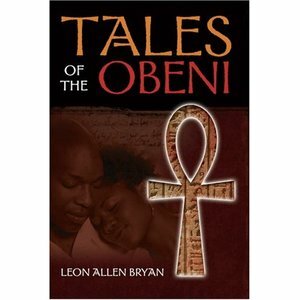 Tales of the Obeni by Leone Allen Bryan was a production project commissioned to AMV for book and cover design from the stables of writersandpoets.com based in Mountainside, New Jersey. Ordering information for the urban fiction can be obtained from the company’s website http://www.writersandpoets.com/publishing/. It is also available for order on major online retail stores including amazon.com (http://www.amazon.com/). Fans of Octavia Butler's The Kindred will love Tales of the Obeni. What happens when a man looking for love is drawn into a bizarre world where conventional wisdom and regular everyday rules do not apply? Tales of the Obeni is based on a rediscovered myth thought to have originated several centuries ago and considered all but lost in time. Set in Harlem, it is the story of Bennie, a successful but lonely entrepreneur who risks his life for love. During a vacation Bennie stumbles upon the Obeni, an ancient artifact which alters his perception of reality forever and makes him begin to believe in and do the unthinkable. Unknown to him however, he is being watched by a fanatical group of sinister individuals sworn to protect the mystical secrets of Obeni. Through the Obeni, Bennie is made to realize that African history goes back further in time than anyone had ever imagined. He is drawn into an unlikely and dangerous love affair with Whende, the woman of his dreams and ultimately he is forced into making a daring rescue to save her life regardless of potentially life-threatening consequences. On her own part Whende weaves a spell of intrigue to snare Bennie firmly in her grasp. Following a misinterpretation of affection he loses her but fights relentlessly to regain her lost love. Leon Allen Bryan was born in New York City and grew up in the Sugar Hill area. He attended Manhattan Community College and York College in Queens. He is blessed with three children and has worked for the United Stated Postal Service. This is his first novel.